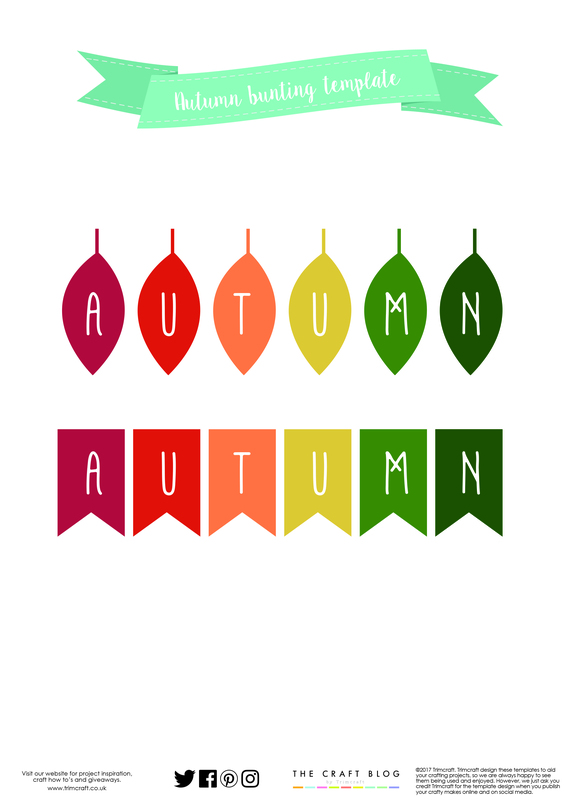 Though summer may have come to an end for another year there's plenty to get excited about with the arrival of autumn. In no particular order, here are a few things I'm looking forward to in the coming weeks... woolly Jumpers, autumn leaves, slow cosy gatherings with friends and an abundance of autumnal fruit to bake delicious cakes with. There's plenty of UK grown produce lining the hedgerows at this time of year, perfect for embracing simpler bakes that showcase the best of our home-grown produce. Whether you decide to pick your own or grab some fruit from the market, here's a lovely recipe to celebrate autumn's bounty. We've gone for plum, but you can modify the recipe to include your favourite Autumnal fruit, see top tips below for advice on this and don't forget to download your own autumn bunting too! 1. To make the pastry in the bowl of an electric mixer cream together the butter and sugar until light and fluffy. add the egg and mix well. Finally add the flour, blend until the mix comes together to form a dough. Alternatively, to make the pastry by hand place the flour and sugar into a large mixing bowl, rub the butter into the dry ingredients until they resemble breadcrumbs. Add the egg yolk and work into the dough until it just comes together. Chill the dough whilst you prepare the filling. 2. To make the frangipane filling cream together the butter and sugar until light and fluffy. Add the eggs, one at a time, beating well between each addition to incorporate. Finally fold in the almonds, flour and baking powder. 3. Pre-heat oven to 160°C/145°C fan/Gas mark 3. 4. Prepare the tray by greasing with a little oil followed by greaseproof paper. 5. On a well floured surface, roll out the pastry to roughly 18cm x 25cm rectangle and place the pastry into the pre-prepared tin, trim off any excess pieces with a sharp knife to neaten the base. 6. Spread the jam in a thin even layer over the pastry. 7. Carefully spread the frangipane mix evenly over the top of the jam. 8. Halve and stone the plums and place the 12 halves cut side up on top of the frangipane filling. 9. Bake for 55-60 minutes until golden brown. 10. Allow to cool completely before slicing. Once complete, cut out your bunting, adhere to your twine and hang it across the traybake using two skewers. What a lovely way of welcoming the autumnal season! I've chosen to use homemade pastry, however I do fully endorse the use of shop bought, especially if you are short on time. Just be sure to look for a brand that offers all butter in the ingredients list. I've used half almonds and flour for this mix to make for a lighter and more frugal recipe, however if you're after a richer finish simply swap out the flour and replace with more ground almonds. Feel free to get creative with the fruits you use, figs, apples, blackberries and pears would all work well in place of plums in this recipe. Equally, feel free to mix and match the jam, especially if you have some waiting in the fridge that you'd like to use up. A great alternative to the plum jam would be ginger, blackcurrant or indeed any hedgerow based fruit jam. 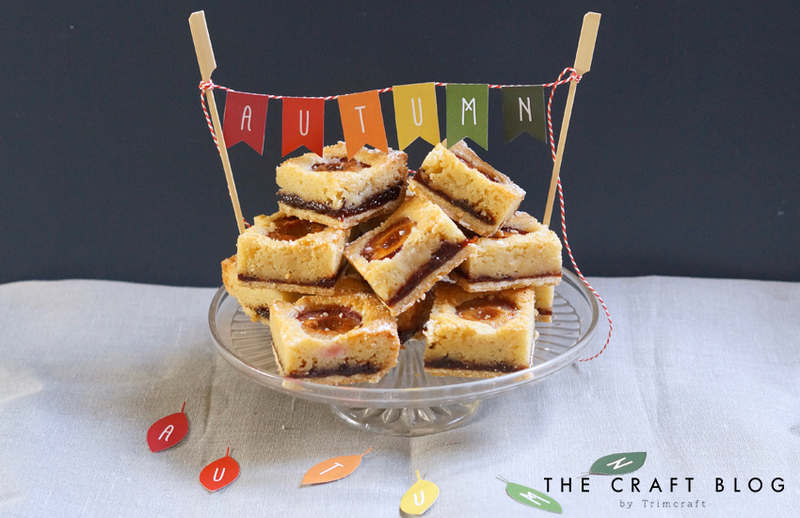 We’d love to see your bakes so don’t forget to #trimcraft and @elle_jane_ if you create this traybake and to share your makes in the Inspiration area. Super plum bakewell recipe looks tasty, we had green gauges in our garden made crumble mostly. Thank you for this recipe will try it some time. This looks so yummy it's making me want Cake!